Freddie Nelson has served as the Putnam County Trustee since September 2010. He is a retired teacher of Putnam County where he worked for 30 years. He was also a Putnam County Commissioner from 1980-1988. He graduated from Tennessee Tech University with a Bachelors degree in 1977 and then went on to get his Master’s degree in 1979. 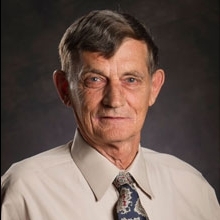 Prior to his obtaining his education at Tennessee Tech, Freddie served 3 years in the U.S. Army from 1971 until 1974 and then served in the Tennessee National Guard from 1974 until 1975. He is a member of the American Legion, a board member of Pacesetters Inc., and an adopter at Algood Elementary, Algood Middle, and White Plains Academy. He is married to Kathy Hunter Nelson with whom he shares a son named Steven G. Nelson.